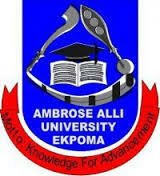 Ambrose Ali University, AAU Ekpoma Academic Transcript / Statement of Results Collection Procedures/Guidelines and Requirements for Graduates of the Institution. This is to inform all graduate students of the Ambrose Ali University, AAU Ekpoma that they can now follow the outline guidelines for the successful collection of their academic transcript / statement of results from the institution. SEE ALSO: AAU Ekpoma Transcript and Academic Documents Verification Fees. For those that wish to collect Transcripts, you are to go to Zenith Bank in Ekpoma and pay the sum of Ten Thousand (N10,000) Naira Only via draft, then proceed to University Bursary and change it to Receipt. Afterwards, you are to go to Exams and Record and they will give you a form to fill, after filling the form you go to ICT located at Main library and present your receipt to them. ICT will send your details to Exams and Record then you pay a little amount of money for Posting, cos Exams and Record will not give you transcripts by hand. They must post it to the institution demanding for it. For those that graduated recently, whose results has been released can immediately collect their Statement of results irrespective of your department, as long as your department have released their final year results. Note: for the Brochure and Endowment, bank charges is included in the above amount.